Classic cartoons in a classic theatre! Start your Saturday off right - with an hour of classic Warner Brothers cartoons! Shown on 35mm - as is preferred at the Historic Artcraft Theatre. 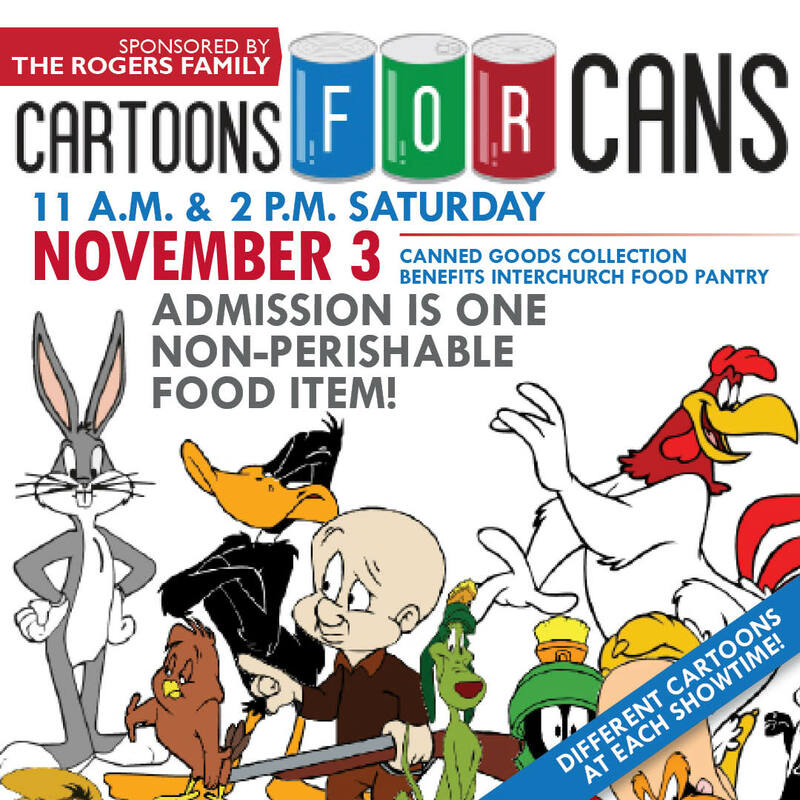 Admission is just one non-perishable good (canned/boxed food please) donated at the door. Sorry, no advance tickets for this event - walk-ups only. ​All donated goods will be collected and donated to the InterChurch Food Pantry. Two showtimes - two different sets of cartoons. ​Come to them both for a full morning of animated fun!